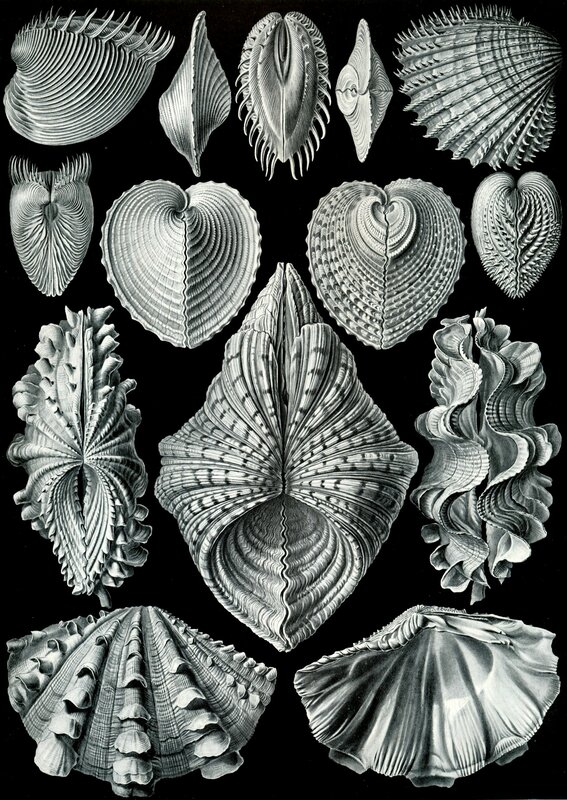 Ernst Haeckel was the “German Darwin” and made over 100 amazing pictures of animals and plants, like this one of some bivalves. Sclerochronology – How does it work? So how do you get a climate record from a shell or a coral? Well, a lot of organisms make growth bands like trees. And when looking at these bands one might see differences in width. Maybe the organism grew faster when temperatures were high, or when there was a lot of rain. So these growth bands are then effectively a record of temperature or rainfall amounts through time. But it goes further. Apart from the width of growth bands, we can look at their chemistry. The chemical composition of shells, or tree rings, or corals, can actually vary with temperature, or with the chemical composition of of the water that they live in. When organisms become old enough to give a very long record of the past, or when we use shells from archaeological finds, this enables reconstruction of the climate far back in time, when there were no instrumental measurements. And that’s interesting, because it’s fun to find out about the history of our planet, but also because we need that information to understand current climate and model the future. 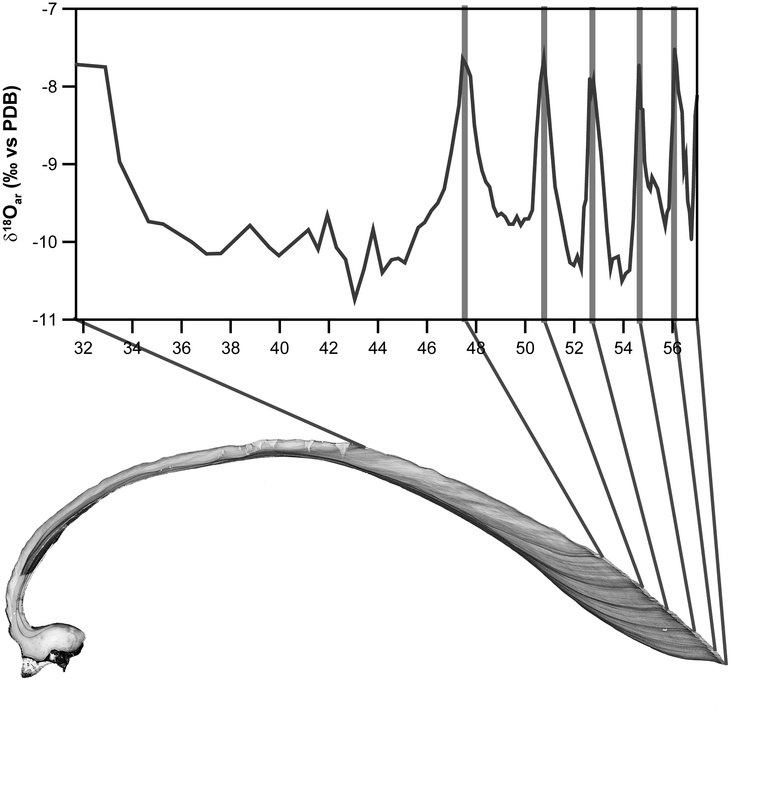 The oxygen isotope record from a freshwater mussel shell from the river Rhine reflects both water composition and temperature changes over time. Categories: Sclerochronology, Shells | Tags: chemistry, climate, Freshwater mussel | Permalink.